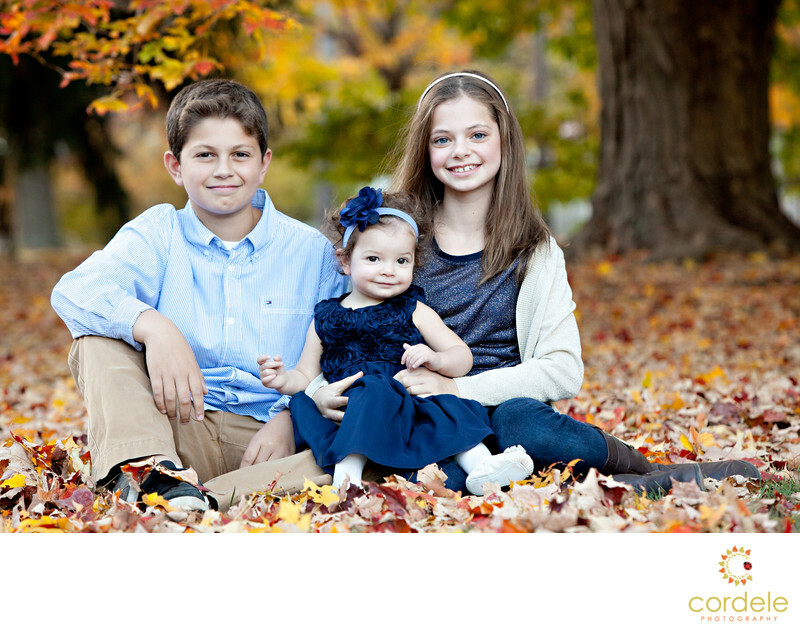 Three kids sit for a portrait together in a fall portrait at Atkinson Commons. Leaves surround them and the fall color behind them is beautiful There is a little boy wearing a blue button down shirt. There are two little girls both wearing blue dresses. I love this fall photo because the little girl in the middle was willing to do anything I wanted. She was so agreeable, and happy. Her big brother and sister were so loving towards her to help her get the best photo. I would absolutely go back to this location if the colors promised to be this amazing.